​The father of missing Cardiff City striker Emiliano Sala has spoken out following reports that his son was on board a light aircraft that went missing over the English Channel on Monday evening. The 28-year-old has just become the Bluebirds' record signing, joining the club on a £15m deal from Ligue 1 side Nantes. It is has been​ ​​confirmed that the forward was one of two passengers on the plane that disappeared from radar last night, and a search is currently being conducted by the Guernsey police involving two helicopters and a life boat. Sala's father, Horacio, was interviewed on Argentine TV channel 'C5N', via Marca, and said: "I was working (when I heard the news), I can not believe it, I'm desperate. I hope good news comes in. I do not know what could have happened, my family did not know anything (about the reports), I told them." 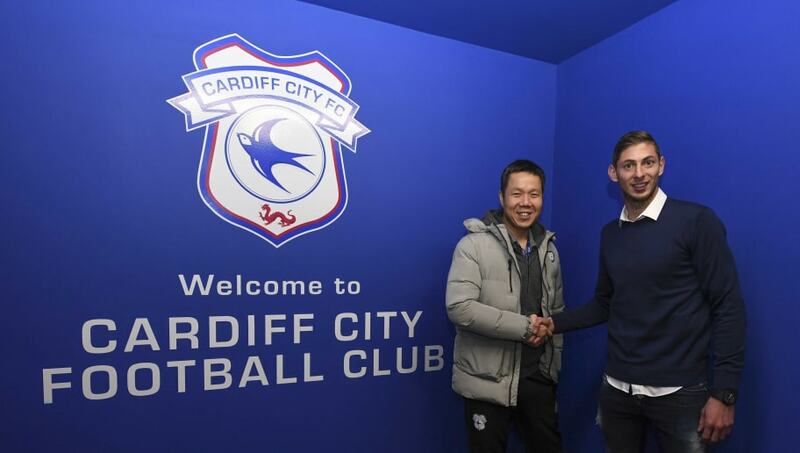 The footballer's father added: "For him, as for all of us, it was a great step to transfer him to ​Cardiff, he's a boy who always fought, a boy from the village, a humble boy." Nantes have ​postponed their Coupe de France tie against Entente SSG which was due to take place tomorrow evening, as they continue to wait for further updates on their former star's wellbeing. The chairman of the Cardiff City trust spoke to the ​BBC about the situation, and said: "As with any tragedy it's difficult to absorb. We're obviously still hoping it's not confirmed but when or if it is, we will contact Nantes offering all our help. Already fans have been getting in touch, the wider football community, to offer their sympathy to Cardiff City. "I think fans realise what's important and things like this put everything into perspective. Football is important in all our lives but not more than a person's life. It's very sad. It's strange. None of the fans got to see him play for Cardiff and now, tragically, never will. So it's difficult for the club to manage. "Our thoughts are with his friends, family and former team-mates."